Hi! I’m Ashley Udoh, a rare native of Atlanta. I started Ashley Udoh in the blogging stone ages of May 2010. At the time, I blogged about celebrities, ran my version of Dear Abby and even occasionally blogged about my hair weave. I finally found my way and began blogging my personal style. 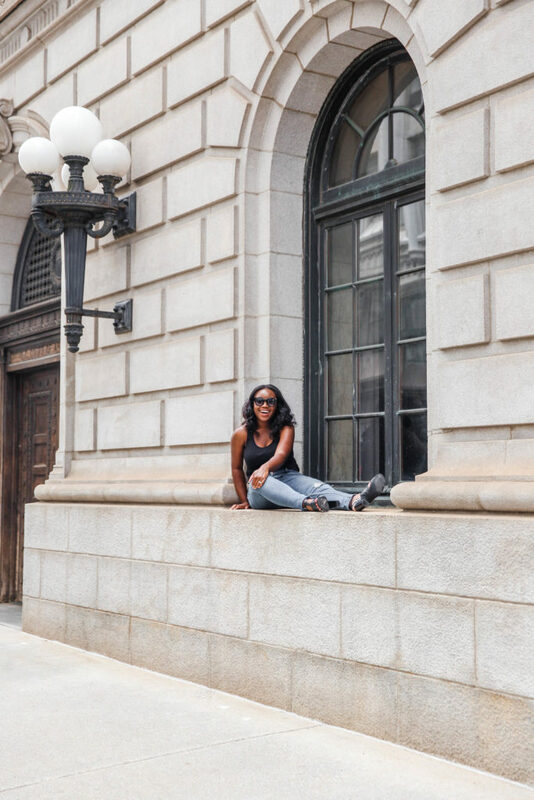 It was a great time for me and my blog, but along the way I was convinced that I needed to get a “real job.” I held on tight, but eventually my blog took a backseat to my 9-5 and I lost my passion. I shut the blog down. Then one day a lifestyle blogger posted a picture wearing bright orange lipstick. Someone in the comments stated that they were going to wear that exact lipstick to their job interview. I knew that this girl was going to lose her chance for the job before she even opened her mouth. I replied to her comment and pleaded with her not to do such a thing and gave suggestions for more interview appropriate lipstick colors to wear. I don’t know if she got the job, but that small interaction sparked my idea for the relaunch of Ashley Udoh. I remember what it was like starting out in my career and finding my way in the real world as a young adult. Despite the abundant information available to me, most of it just didn’t feel like it applied to my current situation. I had just graduated from college when the economy was recovering from the Great Recession. The jobs were few, the applicants were plentiful and technology was on the brink of changing the way we worked and lived. I wish a blog like mine had existed at the time. It would’ve saved me from making a lot of mistakes, but the great thing about those mistakes is that I get to share the lessons with you. You can trust that the tips I give work because I’m walking the talk every single day. If there’s an answer you’re looking for that isn’t on the blog feel free to email me at ashleyudoh@gmail.com and to the girl with the orange lipstick – thank you for reigniting my passion!